Want to win your very own Weber Grill? 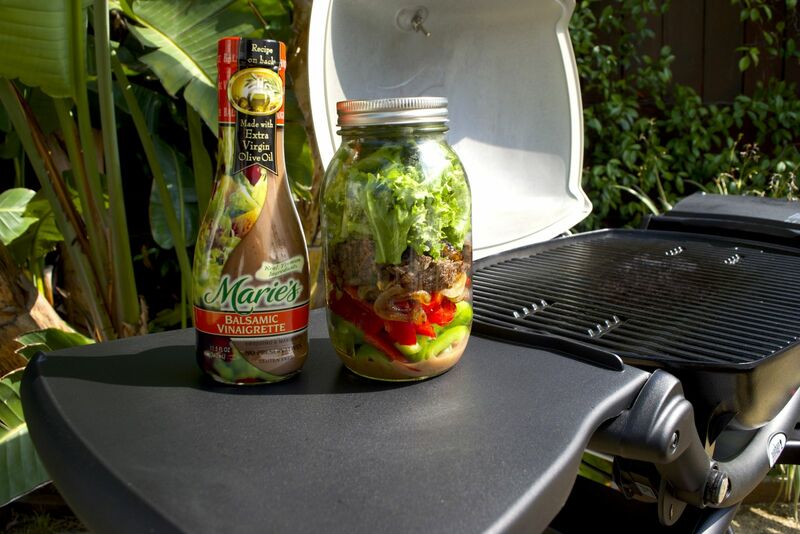 Simply head over to the Marie’s Dressing Facebook page and leave a comment listing the ingredients you would include in your ideal mason jar salad. Entries must include one grilled item and a Marie’s Dressing (flavors can be found here). Submissions accepted through April 13, 2015, full contest rules can be found on the Marie’s Dressing Facebook page. 1. In a large skillet on your side burner (or on your stovetop), warm 2 tsp. of vegetable oil and sauté the onion slices until caramelized then set aside. 2. Brush both sides of the flank steak with 4 tsp. of Marie’s Balsamic Vinaigrette. 3. Fire up your Weber grill and preheat it for 10-15 minutes. 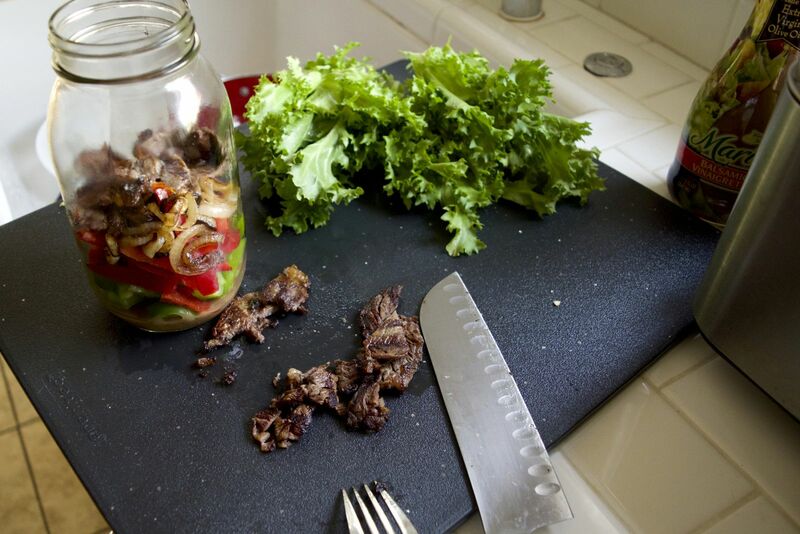 You will be grilling on medium to high direct heat, focusing on temperatures around 425-450F. 4. 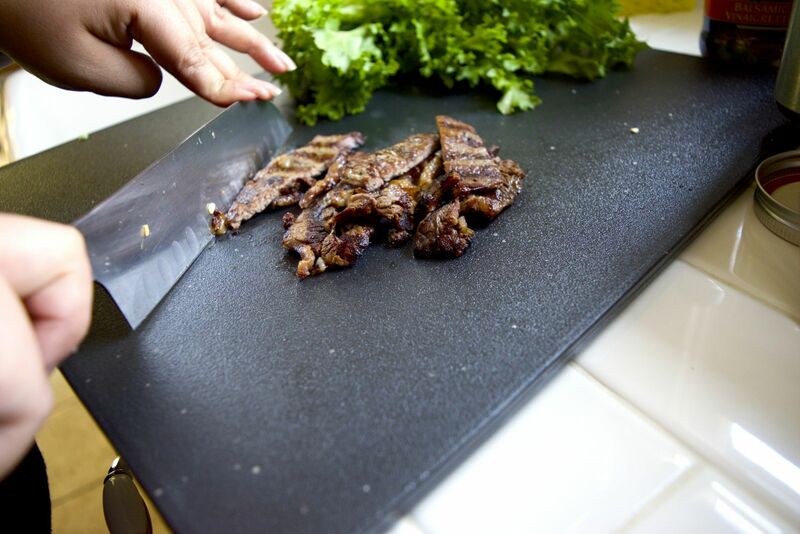 Cook the flank steak over direct heat for 2-3 minutes per side depending on thickness. Look for the internal temperature of the steak to be at or around 140-145 degrees. 5. Once off the grill, let rest and make sure you slice the flank steak against the grain (if you look at the meat you can see long muscle fibers. 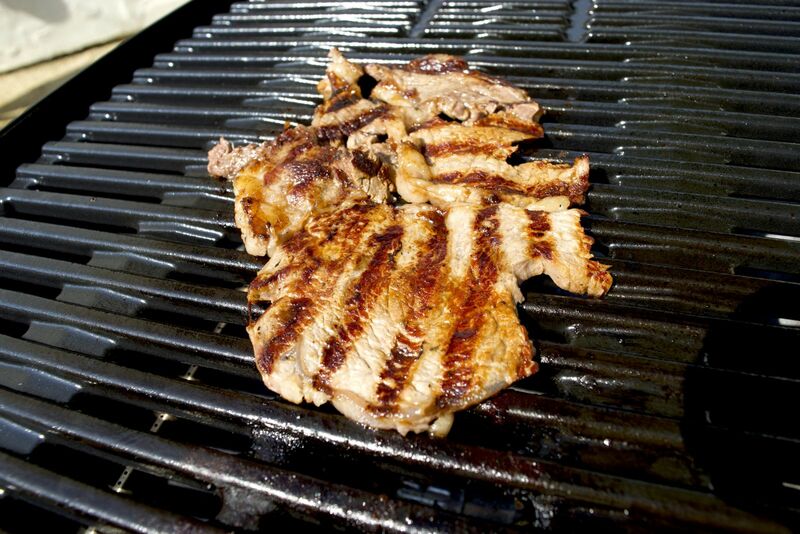 These muscle fibers need to be sliced perpendicular to make them small so that the steak is tender). *Can also be served as a sandwich!